Sun Palace Casino is a well known name in the online gambling industry, with millions of satisfied players under its belt. They came online in 2002 and are powered by Realtime Gaming software. The casino is licensed in the jurisdiction of Panama and all of their casino games are proven to be fair by TST. The casino is owned by Main Street Vegas Group of Casinos. Sun Palace Casino offers their casino games in instant play, download and mobile mode. The casino website is only available in English and players can use USD only in order to play at the casino for real money. 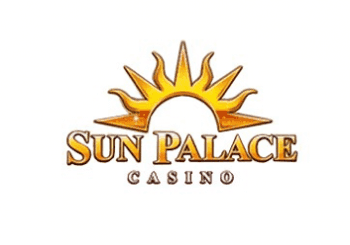 If you decide to make a deposit at Sun Palace Casino you can do so by using Click and Buy, MasterCard, Money Order, Neteller, instaDebit, Visa, MST Gift Card and Skrill. The minimum deposit amount is set at only $20. For withdrawals you can use ACH, Cheque, Money Order, Neteller and Skrill. All withdrawals at Sun Palace Casino have a 0 to 48 hours pending period and payouts to e-wallets within 24 hours. For other payment methods the withdrawal timeframe is quite standard and can go up to 28 days. But compared to most other RTG casinos Sun Palace has one of the fastest payout timeframes to e-wallet accounts. The bonus offer at Sun Palace Casino starts with a pretty attractive no deposit bonus. You will need to redeem the bonus code 20FREECASH in order to claim a $20 no deposit bonus. After that you can redeem the code 20FREESPINS in order to get 20 no deposit free spins on the video slot Crystal Waters. On your first deposit at Sun Palace Casino you can claim a great 400% match deposit bonus up to $10.000, by claiming the bonus code 400BONUS. On your second deposit you can claim a 150% match deposit bonus up to $7,000 by using the bonus code SLOTS200. 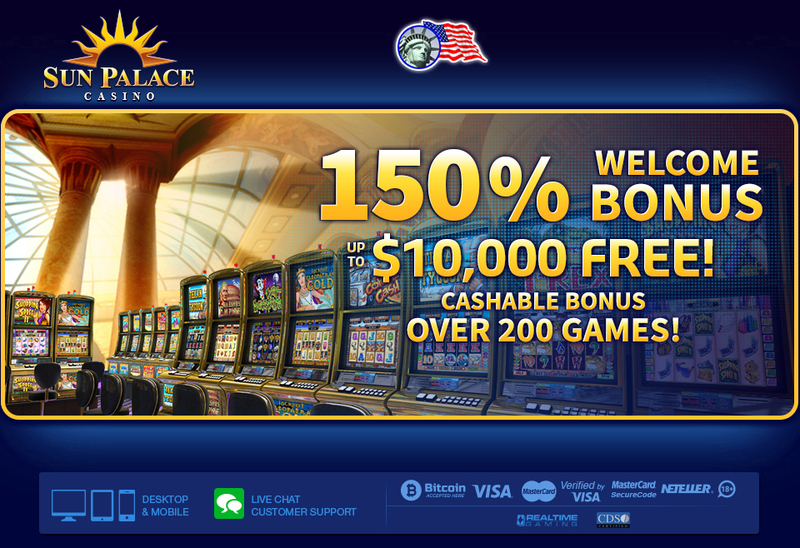 As you can see this is a very rich and attractive bonus offer, which is the main reason why many high roller players from the US make Sun Palace Casino their home. If you have any questions about the casino you are free to go through their FAQ section. The casino also offers players live chat support which is available 24/7. You can easily get in touch with an operator there and solve your query in minutes. You can also reach them by mail at support@sunpalacecasino.eu.